Each video supports the City’s Vision Zero safety initiative and #TransitTuesday efforts to increase participation in alternative transportation methods. Vision Zero was adopted by the City Council in 2015 with the goal of eliminating all traffic fatalities and serious injuries in the City by 2025 through education, engineering and enforcement. Obey traffic signs and signals and stay off the sidewalk. Be visible and predictable, especially at night. Use your hand signals for stopping and turning. Watch for turning cars and bicycles. Look in all directions for vehicles and bicycles. Avoid using headphones or using your phone when crossing the street. Pause and wait before you turn. Stop for pedestrians crossing the street. Take care in the glare. Learn about the 3 types of transportation projects in the Regional Plan & stay connected with us so you know when to get involved later this summer. SANDAG is developing San Diego Forward: The 2019-2050 Regional Plan with a vision to facilitate the efficient movement of people and goods to support a sustainable and healthy region, a vibrant economy, and an outstanding quality of life for all. There are three main types of transportation projects in the Regional Plan – Transit, Active Transportation, and Roads and Highways – and the mix of projects will be based on input from individuals and organizations throughout San Diego County. Watch this video to explore the kinds of projects that could be included in the 2019 Regional Plan and visit SDForward.com/subscribe to sign up to receive email updates. Hold it. That looks like the same old SANDAG 2050 Complete Freeways Plan with more spin and a few PSA videos thrown in. Driving Tips: Stop for pedestrians crossing the street. "Pedestrians have the legal right of way at ALL INTERSECTIONS"
BTW - I am not buying SANDAG's "visions" and "plans" anymore - I want to see substantial, real change. On the ground. Like they mean it. Cynicism solidly earned and deserved. 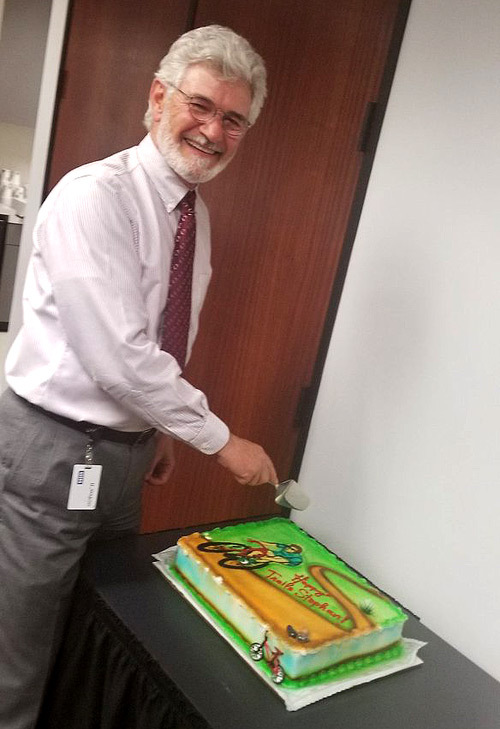 We offer our best wishes to Stephan as he leaves @SANDAG after 38 years! If you ride a bike to work like I do, or just for fun, you can thank him. Best wishes and happy biking in all your future adventures. We're proud the City of San Diego was recently designated as a Bike Friendly Community by the Bike League! And we're getting bike-friendlier every day. In the coming months over 50 new bike racks will be installed as part of the Downtown Mobility Plan. The city of San Diego Friday announced plans to install hundreds of bicycle racks across neighborhoods citywide. More than 50 racks have already been designated for downtown. Staff are seeking recommendations on additional rack locations via local Business Improvement Districts. The proposed downtown locations correspond with planned cycle tracks, also known as protected bike lanes, that will be installed to improve safety for cyclists in that area. The initiative, dubbed “BIDs to Bike Racks,” is a collaborative effort between the Mayor’s Office as well as city Economic Development and Transportation and Storm Water departments. Cyclists can locate existing racks in the city using the interactive map at sandiego.gov/transit-tuesday/bike. The San Diego County Regional Airport Authority began collecting public opinion Monday on a proposal billed as the “most extensive improvement” in the San Diego International Airport‘s 90-year history. The project includes replacement of the 51-year-old Terminal 1, as well as a new on-airport entry roadway, dual-level roadway and curb front. The plan would also expand close-in parking and make “major” airfield efficiency improvements, according to the Airport Authority. Overall, the project cost is estimated “not to exceed $3 billion.” “Upon completion, San Diego residents and visitors will enjoy a truly 21st-century airport for decades to come,” said Kimberly Becker, the Airport Authority’s president and CEO. Monday marked the start of a 45-day review for the project’s newly released Draft Environmental Impact Report, which can be viewed at san.org/plan. Comments may be submitted to planning@san.org. The plan considers potential project impacts, including air quality, water quality, traffic and noise, as well as greenhouse gas emissions and climate change. Construction is expected to begin in early 2020 if the project is approved. The Terminal 1 replacement would open in 2023. The Airport Authority would fund the project primarily through ongoing user fees. The Airport Authority has prepared a Draft EIR for the Airport Development Plan. A copy of the document is available for review here and on the San Diego International Airport website. The public comment/review period ends and comments are due by August 23, 2018. Comments may be emailed to planning@san.org (see Notice of Availability link). "The project includes replacement of the 51-year-old Terminal 1, as well as a new on-airport entry roadway, dual-level roadway and curb front. The plan would also expand close-in parking…"
Not much time to influence what seems like a pre-determined outcome. More parking, more traffic, more noise, more air-pollution, big impacts on health and Quality of Life for surrounding impacted neighborhoods, freeways, surface roads etc. etc. "…the creation of new non-airline revenue opportunities." What about our long desired trolley link? With the coming major development of Harbor Island East, the development around Liberty Station and continued growth in Point Loma, Little Italy, the Midway district, downtown and surrounds, a short spur trolley should be in the mix. It would go a long, long way toward reducing traffic along Harbor Drive and Nimitz Blvd, through Little Italy, the coming Midway development, Pacific Highway, Grape Street and Laurel Street, downtown, HWY-5, State Route 163. HWY 94, yada, yada, yada! With reduced vehicle traffic, the bay front parks along Harbor Drive could be much more easily accessible to families, tourists and military alike. 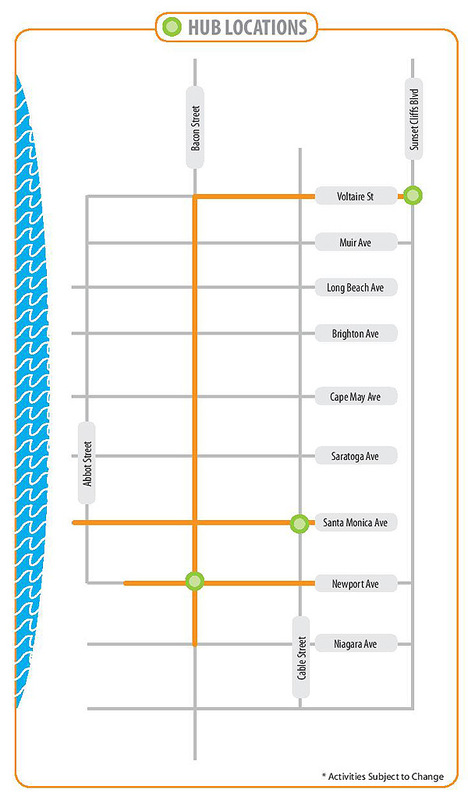 A Class-IV, protected bikeway along the whole length of the North Harbor crescent, along the south side of Harbor Drive, would provide the needed robust, efficient route for bike commuters. 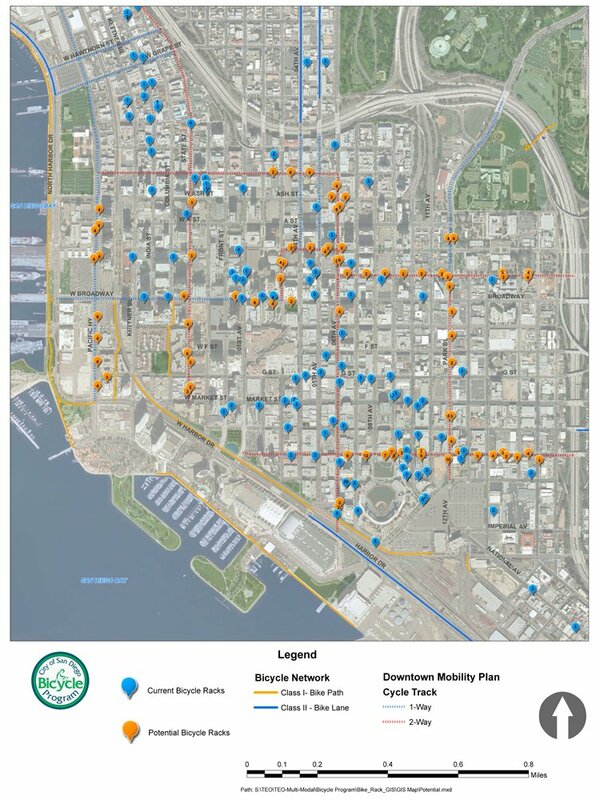 Accounting for growth in e-bikes, bike-share, scooters and newer modes of alternative transportation as well as the old trusty set of pedals, a facility like this will be highly used. It will get bikes off of the current, meandering combinations of MUP's and parking lots that now constitute the Harbor Drive bike route through Spanish Landing down to the CG Station and beyond. Increased use means more pedestian/bike friction. It should be properly dealt with now. SANDAG is supposed to be the overarching coordinating agency in the County of San Diego! It does a terrible job of it! Disparate city governments, MTS, County government, SD Port Admin, CalTrans, Border Agencies, SAN airport, military agencies and facilities, all doing their own planning, financing and development without the required coordination to make the pieces fit together seamlessly. It provides ample opportunity for "things to fall through the cracks". A lot like the Balboa Trolley Station Plan. SANDAG, SD City, MTS, LOSSAN, planning groups all going in different directions, making multiple implied promises and delivering on little. Remember the 35 years to get the promised HWY-15 bike path? So it will be with the promised ped/bike bridge over HWY-5, the Bike Paths along Mission Bay Drive, the realigned bridge abutments under both HWY-5 and the new trolley rails over Balboa Avenue to accommodate separated pedestrian and bike paths. You'll get all the housing and business development and the much increased vehicle traffic (be real here), without accounting for parking, traffic, CAP and safety. "San Diego residents and visitors will enjoy a truly 21st-century airport for decades to come,” said Kimberly Becker, the Airport Authority’s president and CEO. No rail? Even LAX is getting rail now. Old Knotty Buoy Learn about the Park Boulevard Bikeway. SANDAG invites you to stop by to talk with the project team and provide feedback on the proposed Park Boulevard Bikeway. "Features may include buffered or separated bikeways, intersection improvements, and traffic calming features..."
If they are looking for community input, we need more detail than that. San Diego International Airport is the recipient of the American Association of Airport Executives’ 2018 Most Innovative Large Hub Airport award, it was announced Tuesday. The airport was recognized for its environmental sustainability programs and unique Airport Innovation Lab. The Airport Innovation Lab was set up in a decommissioned former commuter terminal to workshop ideas for possible use around the country. The lab will soon work with 10 companies to test potential solutions to airport parking and help passengers with unique needs navigate airport environments. Previously, the lab was responsible for launching a food and retail item delivery service for passengers at their gates. The service has since expanded to Port Authority of New York & New Jersey airports. "...drives our commitment to environmental stewardship..."
"...recognized for its environmental sustainability programs and unique Airport Innovation Lab." Counting pennies and missing dollars best describes the sustainability efforts of SAN Diego Airport. While the drips from the air conditioning water the cactus, hundreds of unnecessary car trips are committed to be driven with new parking facilities, curb-side loading/pickup, high speed entry/exit ramps onto Harbor Drive, added traffic to city surface streets and highways and no meaningful mass transit solution to people moving. Where's the sustainability? A trolley spur from downtown out to the airport would truly be worth recognition I would say. Getting an award for collecting condenser drops, and providing food delivery inside a glorified mall, is emblematic of the fake virtue signaling of the land-use/government cabal of industry insiders. Using public finances to support an Airport Innovation Lab (what should be a privately supported endeavor) is an incredible misallocation of public funds. Get a grip! Kimberly J. Becker, who has risen through the ranks at the Silicon Valley airport since 1995, will start work in San Diego on May 1, 2017. Her salary will be $280,000. San Diego is the nation’s busiest single-runway airport and last year saw total passenger volume increase to a record 20 million. Becker will join the Airport Authority as it is aggressively adding new nonstop air service, building a new Customs and Border Protection facility to accommodate rapid growth of international arrivals, and planning the replacement of 50-year-old Terminal 1. Airport Authority Board Chair April Boling said Becker was chosen following input from local business and community leaders and an extensive industry search. “We are delighted to have recruited Kim, whose proven leadership capabilities and collaborative style will allow our agile, high-performing team to take SAN to the next level,” Boling said. No inclusion of a trolley spur out to the airport with access to both the just completed Terminal-2 and soon to be Terminal-1 replacement doesn't seem very agile, collaborative, high performing or next level. The next level is higher GHG's, warmer climate and more traffic, noise and hassle for surrounding neighborhoods. At that salary (benefits and retirement), who needs to respond to the public when your overlords call the shots? The very short comment period (see July 10, 2018 posting above) shows the disdain, irrelevance of, and dismissal of any meaningful public input. They're just checking the boxes to adhere to the required laws concerning public engagement and input. Talk about being set in stone. Another governmental agency answerable only to itself with no public oversight or any coordinating help from our friends at SANDAG. Another day in paradise. ^ From what I’ve heard (unconfirmed) there are three potential concerns with trolley to the airport. The first is that there currently isn’t a place to run the trolley line. You can’t run it down Harbor Drive unless you want to rip out all of the parking and the car rental path, or the bike path. That leaves Pacific Highway right next to the existing trolley tracks, which seems redundant. Also, where would be the proposed trolley terminal be on airport grounds? Last I heard they were talking about a people mover underneath the runway with an entrance at Pacific Highway but that was years ago. I guess you could do a monorail/AirTrain setup but those tend to get expensive real quick (also see #3). The second issue is that apparently under Federal Railroad Adminsitration rules you can’t have light rail crossing heavy rail at-grade. If the trolley tracks and the heavy rail tracks were swapped in that area MTS could build a nice transit center there, but that’s technically infeasible. Light rail and heavy rail can’t also use the same track at the same time, which is how the SPRINTER and the Blue Line run south of 12th/Imperial: heavy rail operations cannot use the track during regularly scheduled NCTD/MTS business hours at all. The third is that MTS and/or SANDAG have an intermodal transit center in the plans (constrained and/or unconstrained budget). The rumor I heard is that they’re waiting to see where the high speed rail corridor is going to go in and try to make the HSR terminus at the airport if at all possible. If true that would explain why they’re waiting to build it and also why they’re rebuilding Terminal 1 instead of talking of a possible airport move. First, I want to hire OKB as our bike/transit lobbyist. Second, although there should be rail to the airport, I don't understand why we don't work on an interim solution that incorporates shuttle buses. The buses now run frequently from the Pacific Hwy lot and rental car terminal into the airport. Build a pedestrian bridge from the Middletown trolley station over to Pacific Hwy, and have the shuttle buses stop there to pick up and drop off passengers. Expand the station somewhat. Probably a few million dollars. Then you can say you have an airport stop on the trolley. For years there was a shuttle bus from the Oakland Coliseum BART stop to the Oakland airport. Although the new spur rail line is nice, the old Air BART shuttle bus system worked adequately. The San Diego Trolley system would work even better than the old Air BART system, if we just thought creatively. Or is there some flaw in this plan that I'm not aware of? This seems like a no-brainer that should have been obvious to planners. ^ Found the appropriate SDUT article from 2015. The current setup (walking from Middletown to the shuttle pickup point) was the most cost-efficient, because SANDAG. A direct pedestrian bridge from Middletown to the shuttle point needs to clear the railroad tracks right away and then go 600' across to the station. Getting all of the easements and making it ADA compliant on both ends is not cheap. You might be able to create a tunnel but I can't imagine that being cheaper or socially safe. The SANDAG draft Regional Transportation Improvement Program & air quality conformity analysis were released for a 30-day comment period today. The deadline for comments is 8/27/18. Visit http://www.sandag.org/2018rtip to view document & ways to comment. At its meeting on September 28, 2018, the SANDAG Board of Directors will be asked to adopt the final 2018 RTIP. SANDAG anticipates a federal approval date in December 2018. The draft conformity analysis for the 2018 RTIP and draft conformity redetermination for the Regional Plan were released for a 30-day review and comment period on July 27, 2018. The deadline for comments is August 27, 2018. Written comments on the Draft 2018 RTIP and conformity analyses will be accepted via letter, fax, or email. Please submit comments to SANDAG, attention: Sue Alpert, Associate Project Control Analyst, 401 B Street, Suite 800, San Diego, CA 92101; by fax at (619) 699-6905; or via email at sue.alpert@sandag.org. I've been pondering Shady's, allenorn's, and Sigurd's comments for a few weeks. As this is a bike forum, I try to keep my comments to bikes and their place in the community as they relate to transportation, environment and planning. Some of my topics are maybe too far afield but I think they relate back to the utility and contributions bikes make to our quality of life in San Diego. I can't help but be critical of government planners, local advocacy groups and media outlets in much of their work (save but for a few). For all the happy talk about quality of life, the environment, traffic, parking, housing, health and well being, I can't help but notice the intentional duplicity, conniving, mendacity and deliberate manipulation of the public trust in the interests of the gentrified establishment and their minions. I suppose we're all grown-ups here and shouldn't be too surprised by such, but lately it just seems to be way beyond the pale. Perhaps I shouldn't pay such close attention. Maybe a blissed out bong hit, a sunset and staring at the stars would alleviate my concerns. I doubt it. Let the political posturing, virtue signaling and wholesale sellouts begin anew with the coming campaigns. I'm in this frame of mind after following the SD Airport(SAN) stories (see July 17, 2018 posting above) concerning the rebuild of Terminal 1. I ask you, where were (are) all the advocacy groups? Nothing from the bike peep's but for a few lone voices on these forums. Nothing from the purported transportation activist who are really, the witting proponents of political/government largess to the developer/realtor & land-use/central-planners coalitions. Anything from local community planning groups, speaking up for their neighbors, neighborhoods, and businesses? Nothing from government, be it local, county, state, or the Fed's who could achieve much of their mandated climate goals with some better choices. In the calculations of vehicle miles traveled, traffic reductions, reduced parking requirements, and associated CO2 savings, road maintenance savings, and general improvement in our environmental experience, be sure to include the hundreds of airport employees/staff who travel every day, twice a day, getting to and from work. That is a very significant number and a constituency that is often overlooked or unaccounted for. Just as building an additional trolley station at the UCSD Medical Center/VA Hospital, serving employees/staff as well as patients, was justified by the recognition of this very significant employees/staff constituency. 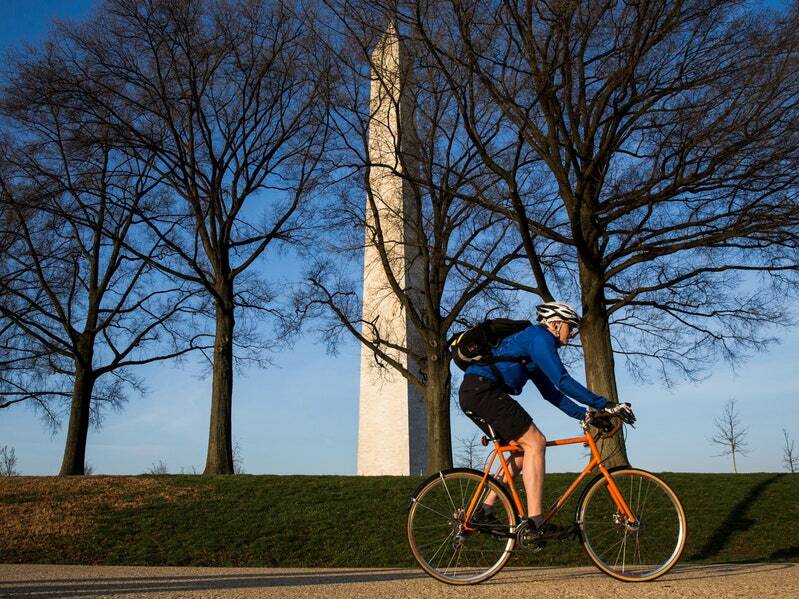 Reducing vehicle miles traveled, traffic and parking hassles helps to improve the case for bicycle travel and utilization. Not just the usual bromides of bike/transit multi-modal travel, personal health, environmental gains and less traffic/parking hassles but the cost savings of building out huge roadways and parking structures and then maintaining them. All of which reduces the heat island effects. About 19.6 pounds (8.90kg) of CO2 are produced from burning a gallon of gasoline. About 22.4 pounds (10.16kg) of CO2 are produced from burning a gallon of diesel fuel. The cement industry is one of the primary producers of carbon dioxide, a potent greenhouse gas (GHG). The CO2 emission from the concrete production is directly proportional to the cement content used in the concrete mix; 900 kg of CO2 are emitted for the fabrication of every ton of cement, accounting for 88% of the emissions associated with the average concrete mix. Add in transport and handling and you are pushing 1000 kg CO2/ton of cement. 1000 kg CO2 produced/ton of cement produced. 1000 kilograms cement = 1 ton of cement. For every cubic meter of concrete poured, you have 350Kg of CO2 produced. How many cubic meters of concrete in a parking structure? Off hand, I'd say lots and lots! If you're going to pour concrete, let it be for mass transit, rails, trolley, buses and protected bike facilities, etc. Not for more single use, heavy, gas burning vehicles. A plan costing up to $3 billion to replace Lindbergh Field's more than 50-year-old Terminal 1, as well as redevelop other parts of the airport, advanced last week with the release of a lengthy environmental analysis documenting potential impacts. The completion of the initial draft environmental report triggers a 45-day public comment period, a necessary step before the San Diego International Airport can proceed with actual construction, expected to start in 2020. In addition to more gates, there would be a 7,500-space parking structure, a dual-level roadway in front of the terminal and a new airport entry road near the intersection of Laurel Street and North Harbor Drive, which is aimed at relieving congestion for those heading westbound to the airport. Lindbergh Field has undergone a number of significant changes in recent years as it responds to growing demand for domestic and international air travel. Terminal 2 was expanded in 2013 at a cost of nearly $1 billion; in May, a 2,900-parking garage opened, and last month, the airport debuted a $229 million international arrivals facility. The environmental impact report, a voluminous document prepared over the last couple of years, covers numerous potential impacts, including some that are characterized as "significant and unavoidable." Examples are cited in the areas of noise, air quality and traffic, where it is noted that there would be considerable impacts on multiple intersections and roadway and freeway segments. "a voluminous document prepared over the last couple of years"
And yet the public is only given 45 days to review and comment. It's released in July/August when summer vacations, family outings and travel are in full swing. At the same time, multiple other complex EIR's and plans for projects all over the city are released and expected to be reviewed and commented upon by the public in short order, all at the end of the summer. This is a coordinated strategy by the government/developer cabal to overwhelm any meaningful public involvement, debate, thoughtful comment or democratic participation in self determination of how the city should grow or public interests should be managed. The suit, originally brought by two rental car companies, says a new $3.50 fee by the port district on rental cars at the airport is a special tax that needs a public vote. The revenue from the fee was to pay for an approximately 1,600-space parking garage at a planned billion-dollar hotel and convention center project on Chula Vista’s bay-front. Wow! Talk about "collaborative style allowing our agile, high-performing team to take SAN to the next level" (See July 27, 2018 posting above). The Port of SD and City of Chula Vista are helping with $350M of public financing to develop a private hotel/convention center. Revenues from the San Diego Airport (SAN) parking are a separate contribution to this project, helping to build more parking on the SD Port property in Chula Vista. The high volume, induced vehicle traffic all around the SD Airport will be the headache of nearby local neighborhoods, nearby roads and freeways as well as the increased costs to maintain them by city tax payers, never mind increasing traffic from the airport to the new Chula Vista convention center. How does this, in any way, benefit the local bicyclist or other modes of active transportation? There is already a trolley line down to Chula Vista that could easily serve the new development on the harbor front there. We just need a trolley spur line to run from downtown SD out to the SD Airport to complete the link. It would also serve the Cruise Ship Industry, the new developments along Harbor Drive (Sea Port Village redevelopment, East Harbor Island development, Downtown redevelopment, existing SD Convention Center, etc), as well as inducing greater trolley/transit usage from areas far and wide served by MTS. San Diego County currently has almost no funding to further expand public transit in the region. An independent review released in January found that Transnet — the county’s half-cent sales tax for transportation — is expected to bring in $19.2 billion over its 40-year life, down from an initial estimate of $39 billion. If MTS raises their $20 Billion, do you think we'll get a trolley spur to the airport? I think not. We'll probably get some environmentally progressive electric buses to navigate the same traffic clogged roads we currently enjoy. That will solve our problems. Sheesh! The Airport Authority has prepared a Draft EIR for the Airport Development Plan. 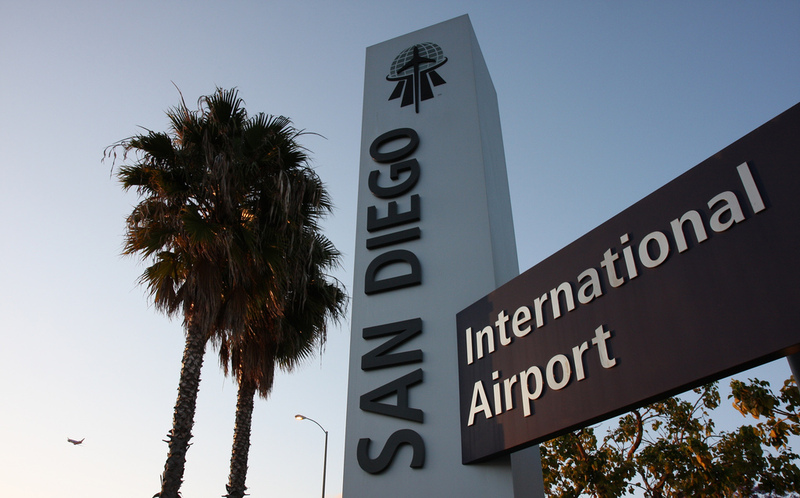 A copy of the document is available for review on the San Diego International Airport website. The public comment/review period ends and comments are due by August 23, 2018. Comments may be emailed to planning@san.org (see Notice of Availability link). A 45-day review for the project’s newly released Draft Environmental Impact Report, which can be viewed at san.org/plan. Comments may be submitted to planning@san.org. On August 10, 2018, the Working Draft of the Mission Valley Community Plan was released for public review, please see the announcement, Reimaging the Future of Mission Valley, for more information. After you review the plan, please submit your comments by November 13, 2018. A public hearing on the Draft EIR will be held 6 p.m. Thursday Aug. 23 at the UC San Diego Faculty Club, Atkinson Pavilion, 9500 Gillman Drive at Muir Lane. University staff will explain the findings and the public can give oral and written arguments. The Draft EIR contains an assessment of air quality, health risk assessment, biological resources, archaeological resources, historical resources, paleontological resources, greenhouse gas analysis and reduction strategy, hazardous material records, noise, population and housing, transportation, and water supply. However, whether the report thoroughly and adequately addresses these fields is subject to public review. Your comments must be received by September 17, 2018 to be included in the final document considered by the decision-making authorities. Please send your written comments to the following address: Rebecca Malone, Environmental Planner, City of San Diego Planning Department, 9485 Aero Drive, MS 413, San Diego, CA 92123 or e-mail your comments to PlanningCEQA@sandiego.gov with the Project Name and Number in the subject line. The August 2018 Draft Morena Corridor Specific Plan and Draft Zoning Map is available for review and can be accessed here: https://www.sandiego.gov/planning/community/profiles/lindavista Please contact me if you have any questions or comments regarding the Draft Morena Corridor Specific Plan. The draft Specific Plan and information on the draft Program Environmental Impact Report can be accessed here. Before City Council - scheduled for September 17, 2018. I'm sure there are many other planning groups who have work in progress both in the city of San Diego as well as surrounding areas. Good luck keeping up. "An involved and well-informed public can contribute valuable input during all stages of transportation decision-making. Public feedback on this plan is necessary in creating a document that makes it easy to understand the transportation planning and programming process so more people can influence state, regional and local transportation decision-making." From what I’ve heard (unconfirmed) there are three potential concerns with trolley to the airport. The first is that there currently isn’t a place to run the trolley line. You can’t run it down Harbor Drive unless you want to rip out all of the parking and the car rental path, or the bike path. I disagree with that. You could easily run an elevated track down the median of Harbor Drive (or a monorail like at Disneyland resorts), just like what's being done on Genesee Avenue currently with the UTC/Blue Line extension. No views would be impacted, and it might in fact add to the ambiance of a thoughtfully well designed, 21st century, modern American city. Airport patrons would see it against the harbor as planes arrive and depart. Trolley patrons would be 'above the fray' as they move from the airport to cruise ships, on to downtown hotels and convention center and further connections to region wide transport. Elevated trolley tracks would provide a panoramic view of San Diego Harbor, Harbor Island, Point Loma, Coronado, the downtown skyline, Mission Hills and even the airport if you're so inclined. What a marketing gift it would be for the City. Beautiful views of our harbor-front amenities upon arrival, and a wonderful, last longing gaze of the same on departure. With the projected and planned for growth in air passengers at SAN, the idea of rail transportation becomes more and more efficient, cost effective and environmentally relevant. Build it now to maximize the returns on monetary investments, transportation convenience and environmental protections. Also, where would be the proposed trolley terminal be on airport grounds? "The project includes replacement of the 51-year-old Terminal 1, as well as a new on-airport entry roadway, dual-level roadway and curb front." An elevated trolley loop could easily terminate at multiple stops at Terminals 1 and 2 replacing, or in addition to, "dual-level roadway and curb front." Just look at the elevated trolley stations in Mission Valley (Grantville) or again along the new Blue Line extension in the La Jolla/UCSD/UTC corridor. Easy peasy! The second issue is that apparently under Federal Railroad Administration rules you can’t have light rail crossing heavy rail at-grade. Go up and over as the trolley is doing in Rose Canyon to cross the LOSSAN rails and continue on across I-5. There are multiple examples in Mission Valley as well, of elevating the tracks over roads, water and other such obstacles. I'm not so familiar with the Orange Line but am guessing similar examples could be pointed out. third..The rumor I heard is that they’re waiting to see where the high speed rail corridor is going to go in and try to make the HSR terminus at the airport if at all possible. Waiting on High-Speed Rail is like watching a Giant Sequoia Tree grow from seed. Why would you build such a thing not knowing where it's expected to go and not even having a clue about, or having had planned for, terminus stations? For SANDAG to use that as an excuse is indicative of what we're dealing with here. although there should be rail to the airport, I don't understand why we don't work on an interim solution that incorporates shuttle buses. The buses now run frequently from the Pacific Hwy lot and rental car terminal into the airport. I agree that interim solutions should always be considered. Don't let the perfect be the enemy of the good. Shuttle buses seemed to be in the plan from the early proponents but like so many promises, just fall to the wayside do to bureaucratic ineptness, costs or flat out dishonesty in selling the projects. ..while no Trolley extensions are planned directly to the airport, short-term improvements to the Middletown Trolley station and a new on-airport shuttle will provide more access. San Diego Forward: The Regional Plan envisions a new San Diego International Airport Intermodal Transit Center. Scheduled to open by 2025, the center will provide quick access from Trolley, local buses, COASTER, and Amtrak to the airport via a shuttle and park-and-fly services. San Diego Forward also includes development of both new rail and Rapid services that would connect to various beaches in the region. "…and new premium bus lines to San Diego International Airport and the cross border airport facility." Found the appropriate SDUT article from 2015. The current setup (walking from Middletown to the shuttle pickup point) was the most cost-efficient, because SANDAG. Expecting travelers, tourists, conventioneers and families (old and young) to haul heavy, awkward bags up and down West Palm Street is just stupid. Plain and simple. One of the obstacles that make it tough to ride mass transit to San Diego International Airport is being removed, while free shuttle service between a trolley station and terminals is being added. The key to the plan is making it easier for travelers to walk. The San Diego Association of Governments has approved upgrades to an intersection near the Middletown Trolley Station so light-rail riders have a better pedestrian route to a new free shuttle to take them to the airport. SANDAG’s project is part of an ongoing effort to find a “missing link” connecting the trolley and airport, and to create an affordable solution to resolve one of the biggest and recurring criticisms of the region’s transit system. The project includes walker-friendly improvements on Palm Street at the Pacific Highway intersection. It includes wider sidewalks, a handicap-accessible ramp, and a new crosswalk. A telephone pole will be removed, and road markings will be repainted. The project stretches a little more than a city block. "Currently, pedestrian access… is narrow, in poor repair, and has an excessive slope, which prevents inadequate Americans with Disabilities Act access,” a SANDAG memo says. Outbound travelers will be able to take the Green Line to Middletown station, take a quick walk across Pacific Highway to a new shuttle stop just outside the airport’s new car rental center, which is under construction. From there, they can snag a free ride via a shuttle typically used to ferry people from the airport’s economy parking lot to the terminals. They can repeat the process in reverse when coming home. 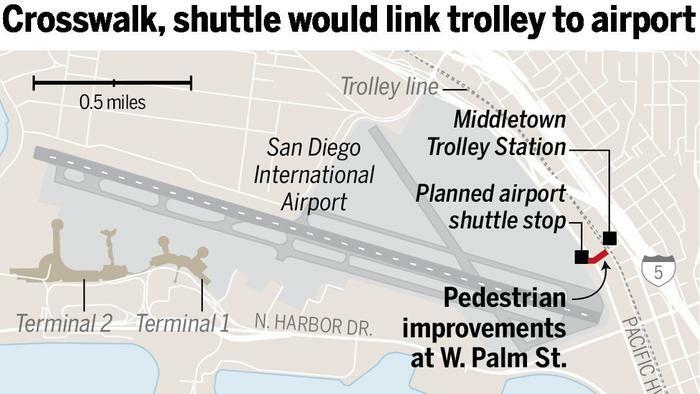 “These pedestrian improvements will allow people to get from the trolley stop down to the airport property, where they will be able to catch the shuttle as it goes back and forth between the terminals and the rental car facility,” SANDAG spokesman David Hicks said. The pedestrian improvement plan is the most affordable of projects proposed to make it easier for transit users to get to the airport, officials say. The pedestrian improvement project is a precursor to a more elaborate effort to make the airport more accessible by rail. Hicks said the long-term plan is to have an “intermodal transportation center” where Amtrak, Coaster and trolley riders could all ride to the airport. The center would most likely be between Washington and Sassafras streets, and pedestrians would use a bridge to get to the new rental car center and the shuttle. There is no timeline for this project, Hicks said. SANDAG is responsible for regional-decision making and policies, including transportation and planning. It used to be the City of San Diego would get infrastructure exactly backwards. They would resurface roads and then come back less than six months later to work on water or sewer pipes. They've made great strides in reversing such 'coordination'. SANDBAG, the Port of San Diego, SD Airport Authority, MTS, and others have yet to learn such lessons. The whole airport makeover will be completed, the new Sea Port Village and East Harbor Island projects will be completed, and the downtown waterfront developments will be completed when suddenly the light bulb will go on over their heads. "Hey, we should have a trolley spur line out to the airport!" They'll want to tear up and modify all their recently done construction, spending more and more public money. I have a dream.. I dream of a beautiful, robust, protected bikeway all along Harbor Drive from Spanish Landing to the Embarcadero. With reduced traffic all along North Harbor Drive due to efficient, convenient and cost effective public rail to the airport, bike commuting and park utilization would be greatly enhanced. A man's got to dream. Old Knotty Buoy: This is a coordinated strategy by the government/developer cabal to overwhelm any meaningful public involvement, debate, thoughtful comment or democratic participation in self determination of how the city should grow or public interests should be managed. The only reason they invite public input is because they know it won't make a difference. The mantra of the government-corporate complex is "Don't let the public win". I am super excited to participate in another Climate Ride. This group is amazing and inspires me to keep riding and I couldn’t resist this one. For this adventure I will be donating the cost of my trip which allows the majority of your donation to go directly to the beneficiary of choice. I will ride to raise awareness for two non-profit organizations in San Diego, beautifulPB and Climate Action Campaign. beautifulPB has become an Eco-District and implemented many wonderful community projects while the Climate Action Campaign advocates throughout San Diego County for a healthy environment. Both advocate for the value of bike transportation and bike infrastructure as well as many important sustainable practices. The Blix crew utilizing electric bikes as clean, energy efficient, alternative transportation. 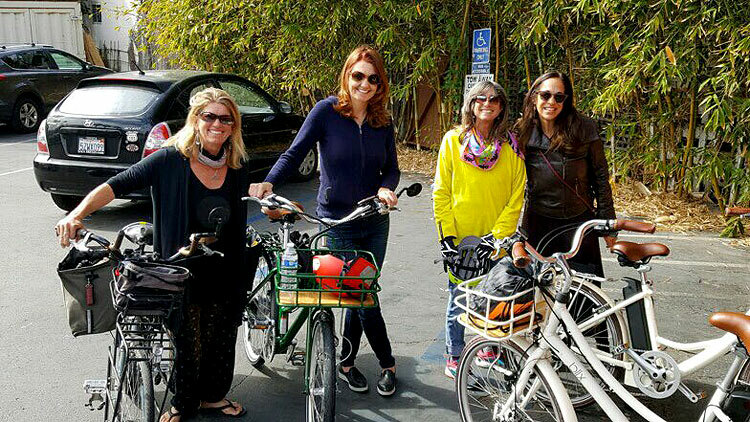 Wonder women: Nicole Burgess – San Diego BikeWalk-D2 founder; Nicole Capretz – Executive Director, Climate Action Campaign; beautifulPB Board Members Paula Gandolfo and Kristen Victor. Determined, positive leadership resulting in productive, meaningful outcomes in policy, infrastructure and safety for all users. Consistent commitment to bicycling solutions for health, transportation, climate and 'Quality of Life' in our communities. Let's keep it rolling! For those that know me, you know I love to ride my bike near and far. I ride for transportation, health, freedom, and fun. I am always excited to talk bikes and show others around town; to learn and enjoy the beauty of riding. Please let me know if you ever want to join me on the road. Keep riding, flying, and believing. Roundabouts — including those in Bird Rock — are great facilitators of traffic flow. While this is common sense, I would nevertheless like to remind everyone that vehicles already in the roundabout have the right-of-way, bicycles included. I've nearly been hit a few times by drivers too eager to enter. Please be cautious when approaching and pay special attention to anyone turning left. We will all get to our destinations in time, so let's take it easy. Encourage your students to take active transportation to and from school with a free class or event! Biking, walking, skating, skateboarding, or riding a scooter to school helps promote physical activity and healthier lifestyles for students. The iCommute Walk, Ride, and Roll to School program is offering schools and school districts a chance to register for free classes and events that are designed to teach students skills and safety to build confidence and encourage participation. Don't miss out! These free classes and events are offered on a first-come, first-served basis. Join iCommute during National Rideshare Week (Monday, October 1 through Friday, October 5) as we celebrate the many benefits of commute alternatives. Rather than driving alone, share the ride and socialize, work, rest, read, or text while someone else drives. A good time to learn multi-modal skills. Great for college/university student and staff commuters who may live near transit stops. Take your bike on a bus or trolley commute. It might come in handy on those dark, wet, winter commutes! Save $, avoid parking hassles and traffic hassles. The Peninsula has three of the four most dangerous intersections for bicyclists in the City, according to a recent study. Personal injury attorney Michael Bomberger of Estey & Bomberger, LLP, himself a cyclist, hired a firm and did his own research for a study on bicycling traffic accidents. Turns out the Peninsula, with limited access into and out of the community, qualifies. From 2010 to 2016, Midway Drive and Rosecrans Street, with 15 crashes, topped Bomberger’s most-dangerous top-10 intersection list. Rosecrans Street and Sports Arena Boulevard made the middle of the top-10 list with nine crashes. Nimitz Boulevard and West Point Loma Boulevard was 10th on the list with eight crashes. For more information, visit ebcyclinglaw.com/san-diego-bicycle-crashes-study/. A battle is brewing over putting a protected bike path along West Point Loma Avenue between Nimitz and Sports Arena boulevards. The City has outlined its plans in an Aug. 20 letter from Esmerelda Y. White, associate engineer in the City’s Transportation and Storm Water Department, sent out to residents in the affected area as part of a parking removal survey for the proposed new bike lane. 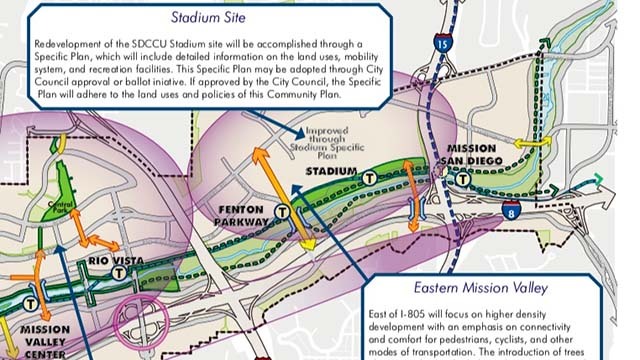 The letter points out that the City, in coordination with the ongoing Pacific Beach Pipeline South project, has an opportunity to add bicycle facilities along West Point Loma Boulevard between Rue D Orleans (east) and Sports Arena Boulevard, in accordance with the City of San Diego Bicycle Master Plan, to connect with the existing bicycle network along West Point Loma and Sports Arena boulevards. See June 12, 2018 posting above for details. The Walk Bike Places convention will include a series of mobile workshops, “super sessions” and breakout sessions on a variety of topics, including how to create bike- and pedestrian-friendly spaces, engaging the public in the design of such projects, maximizing limited dollars for projects, electric bicycle safety and laws and safe routes to school. Hubbard said she is looking forward to one of the tours on the itinerary of New Orleans Broadmoor neighborhood, which was destroyed in 2005 in Hurricane Katrina, and later rebuilt into a more pedestrian and bike-friendly neighborhood. “I am really looking forward to learning about some of the best practices that they used and seeing what we can do here in Encinitas,” said Hubbard, who said she is paying her way to the conference. CARLSBAD — Once again, beer enthusiasts left satisfied at the fifth annual Carlsbad Brewfest on Sept. 8 at Holiday Park. 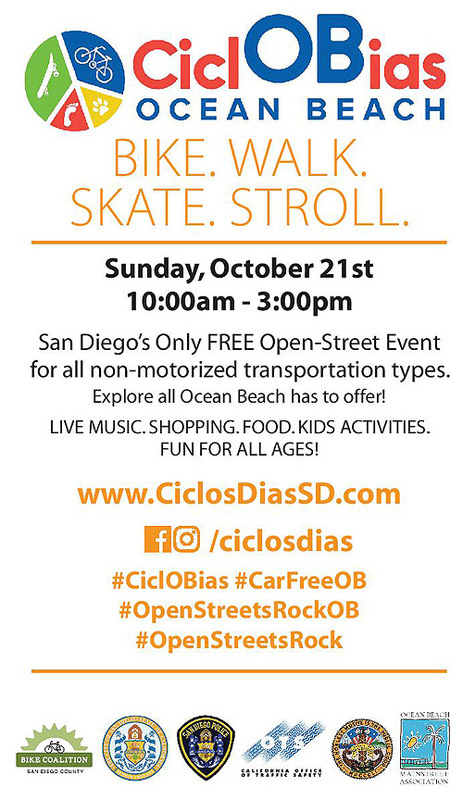 Organized by the Carlsbad Hi-Noon Rotary Club, this year’s edition was the biggest one yet with 1,500 people and raising more than $50,000, which will be donated to Bikes 4 the Barrio, the Agua Hedionda Lagoon Foundation and Carlsbad Educational Foundation. As for its donations, rotary will donate to each nonprofit. Bikes 4 the Barrio, meanwhile, was brought in this year and delivers bicycles to underprivileged students in the Barrio. Chad Majer, president of One Bike Club, started the program in December 2017 and gave away six bikes. This year, however, with the help of rotary and other fundraising events, the goal is to provide up to 80 bikes for the kids at Jefferson Elementary School. 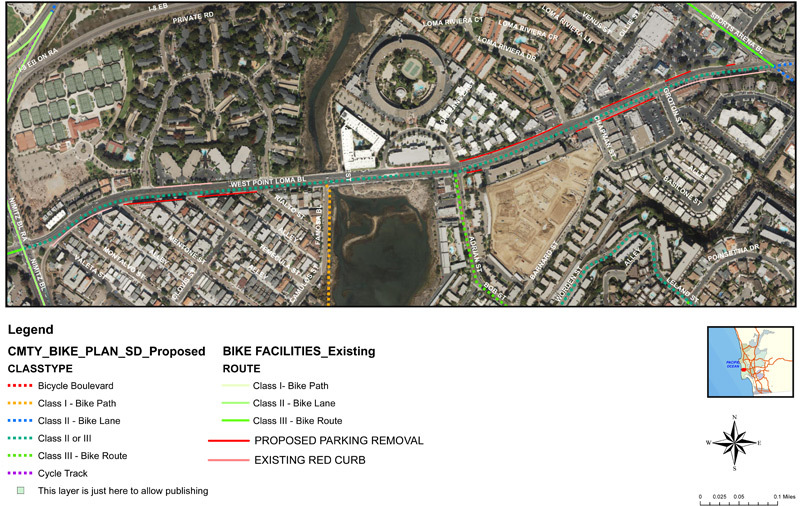 Bicycling advocates are expressing guarded optimism about the City Council's approval in July of a plan to implement portions of the Bicycle Master Plan (BMP) that would create a $312 million bicycle infrastructure across San Diego when completed. 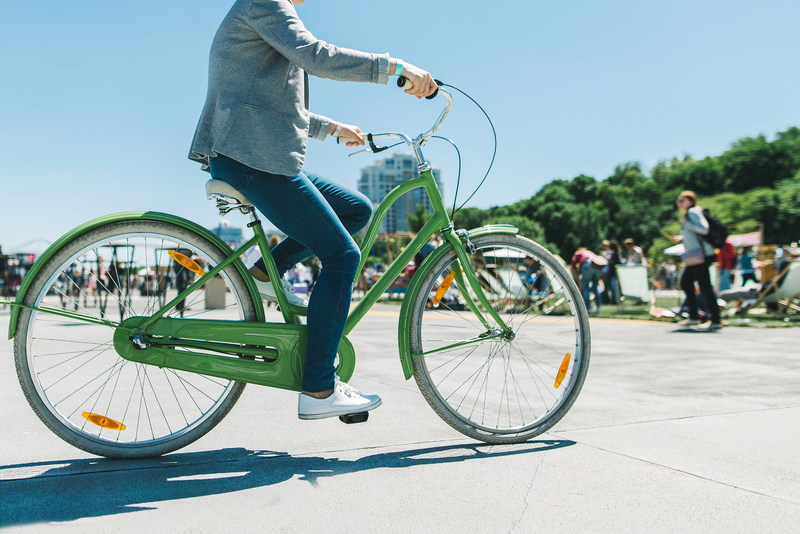 Known as the Strategic Implementation Plan (SIP), the July action identifies six objectives and 40 high-priority infrastructure projects of the 77 listed in the BMP to provide a safe, reliable and interconnected network for cyclists and other alternative modes of transportation. According to Kathy Keehan, the District 5 representative on the City's Bicycle Advisory Committee (BAC), in light of the City's long-term goals to make biking accessible to everyone, any step in that direction, including the SIP, is a good one. "What the SIP accomplishes is it sets real concrete goals and actions that need to happen soon to implement the BMP," she said. "It translates the BMP into a specific set of tasks for the City to accomplish. "If you can build a connected, safe (bike path) network for people to ride, people will ride. We see that over and over again in U.S. cities, and around the world. But if you build it, you have to build it well — a line of paint on the street is not going to be enough." Yet any progress achieved with the SIP's passage is tempered by its lack of a tangible timeline or committed funding. So while the SIP is another arrow in the quiver, success will be entirely dependent on the aim. "I have hope that the plan can do good things, but it's really going to take advocates to push our leadership to reallocate funding," said Nicole Burgess, Pacific Beach's representative (District 2) on the BAC. "The plan has good objectives. If we can meet those objectives and fund (them), then we're going to do OK. But if this plan is just a plan that gets put up on the shelf, then it's just like any other plan." The SIP's strengths aren't necessarily in its text, but in the context in which it was drafted. Since the approval of the BMP in 2013, the City has also adopted the Climate Action Plan, which calls for bicycling's share of commuter transit to grow to 6 percent from its current 3 percent by 2020 and 18 percent by 2035; Vision Zero and its target of zero traffic fatalities on San Diego's roadways by 2025; and the Downtown Mobility Plan, with its 9 miles of protected bike lanes slated to start construction this year. 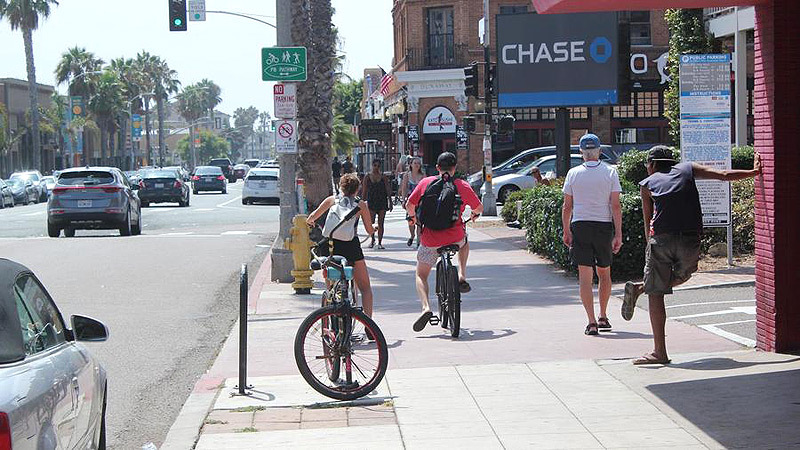 Bike advocates are counting on those mandates to give the SIP teeth, says Andy Hanshaw, the BAC chair and executive director of the 1,500-member San Diego County Bicycle Coalition. "None of those things were in play in 2013, when the BMP was adopted," Hanshaw said. "So it's now important to have the SIP to start those things out. We're excited because it's a huge part of what the City should be doing to reach those CAP goals; to reduce greenhouse gas emissions; to provide transportation options." Editing Note: Bicycle Advisory Board (BAB) has been corrected to Bicycle Advisory Committee (BAC) by OKB. Bicyclists pedal along on the sidewalk rather than risk their necks by driving in traffic on Garnet Avenue in Pacific Beach. So what's in it for Pacific Beach? Of the 77 projects listed in the BMP, eight are located in Pacific Beach and the adjacent Mission Bay Park (see list below). Additionally, Grand and Garnet Avenues are recognized by Vision Zero as dangerous corridors with frequent accidents, which are given priority in the SIP. While PB has seen its share of bike lanes painted on streets through the City's effort to resurface 1,000 miles of streets in five years (the Resurface and Repurpose project), BAC rep Keehan claims it's the PB community itself — through the PB Planning Group and the PB Pathways project run by beautifulPB, among others — that is the leading edge of biking improvements in the neighborhood. "PB doesn't have a lot of bike infrastructure, but there are a lot of bicyclists," Keehan said. "There's a lot of pent-up demand in PB. I really give those organizations a lot of credit for elevating the conversation in PB about bicycling and keeping it on the radar. When things happen in PB, bicycling is always part of the conversation." BAB rep Burgess lists a number of ongoing or planned projects in PB as vital for producing the needed bicycle network to connect the community. However, Burgess, as well as other BAB members, recognize that the bottleneck is pedaling south. "Lastly, but most importantly, is the critical connection along Pacific Highway," Burgess stated. "Pacific Highway is the backbone of our City and has great opportunity to be a phenomenal, beautiful, walkable, bikable corridor connecting the north to the south." 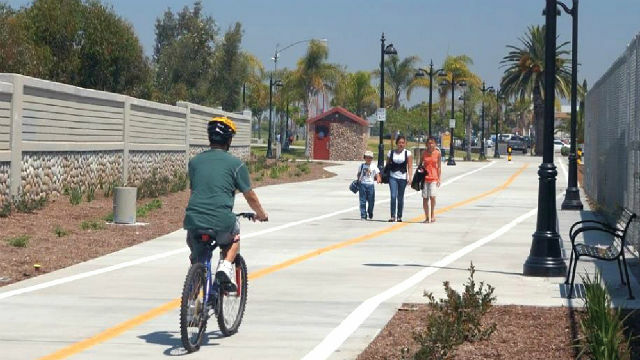 Bike advocates believe the SIP can deliver the impetus to include bicycle and pedestrian access in the critical planning stage of the Mid-Coast Trolley and its Balboa Avenue Station (I-5 at Balboa Avenue), when costs are cheapest and implementation is easiest. The Balboa Avenue Station will be part of the Blue Trolley Line that will run from downtown San Diego to University City (station stop at UTC Westfield), designed by the San Diego Association of Governments (SANDAG). Service is anticipated to begin in 2021 and by 2030, SANDAG predicts 3,180 daily boarding's. Keehan explained: "We have an opportunity, with this station, to make it better if we're thoughtful about how it's done and if we're ambitious. We must really, truly make the commitment to make it not just possible, but attractive, to get people from one side (of the area) to the other to access that Station. It's a big challenge." 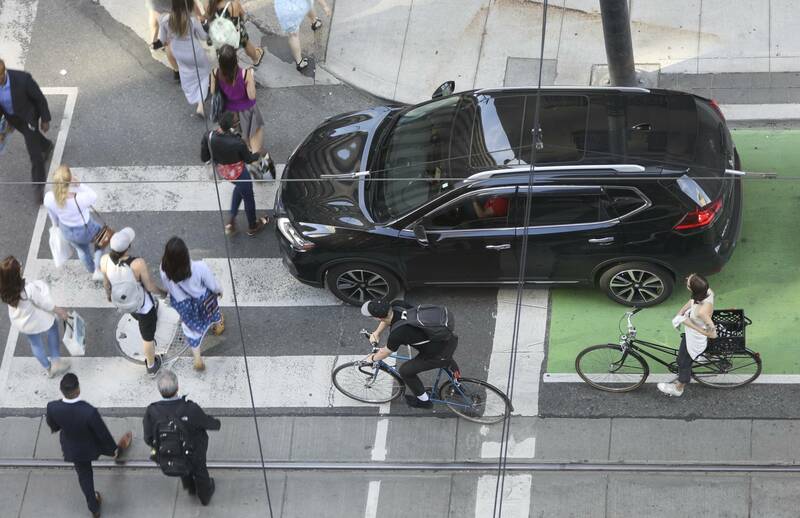 Noting that some traffic planners and engineers have never ridden a bike, Burgess recognizes that it will require a change in culture for bicycles to emerge as the viable solution to traffic congestion. She argues that cities benefiting from a shift to bicycle transportation for commutes and beyond have made the required investment. "In the Netherlands, they spend 40 percent of their budget on bikes and in Portland, Oregon they spend roughly eight percent on bikes," Burgess noted. "And in the end, that is what they have for ridership — over 40 percent in the Netherlands and eight percent in Portland. We spend very little and it is evident in our current ridership. "It's important for us to shift the dialogue from bikes being used for recreation to bikes being used for transportation. A healthy, active future is in reach for San Diego and we have great opportunity to become a world class, bike-friendly city, but we will need leadership from the top and proper allocation of funding." So bike advocates argue the SIP's benefits will be seen in retrospect. "We've tried hard to separate priorities for the program," Keehan explained. "We'll see how that rolls out. The proof will come when we get those projects that get more people riding, and those people feel safer and more comfortable when they're riding. We need people to ride more. That's the goal at the end of the day." The infrastructure improvements on the eight projects below vary from the construction of new lanes to upgrades of existing lanes to the addition of traffic-calming measures, such as reduced speed limits, speed bumps, etc. Find the details at BMP. Mission Boulevard: Turquoise St. to Grand Ave.
E. Mission Bay Drive: I-5 to Grand Ave.
Crowne Point Drive: Pacific Beach Drive to Lamont St.
Bike Path donation: Following the formation of the Fay Avenue Bike Path committee last month, LJP&B trustee Sally Miller announced the Kiwanis Club of La Jolla granted the board $1,500 to pay for the next community clean up. The committee would coordinate the right of entry permits needed to clean the path (also known as the Fay Avenue Extension), and use the grant money to pay for cleaning equipment to remove brush and pick up trash. A community clean-up is planned for later this month. La Jolla Traffic & Transportation: Trolley suggestions, anyone? Metropolitan Transit System rep Rodrigo Carrasco announced several open-house meetings to solicit suggestions on how to change the bus network to support the Mid-Coast Trolley extension to University City slated to open in 2021. How about easy and safe bicycle access to the new stations? Bike lockers, e-bike charging, and other state of the art bicycle infrastructure to facilitate and promote alternative transportation and multimodal transit. Keep bus stops at trolley stations out of bike lanes along Morena Boulevard. The San Diego county Board of Supervisors approved more bicycle lanes in unincorporated communities Wednesday. The panel’s 4-0 vote — Supervisor Ron Roberts was absent — clears the way for an update of the county general plan’s bicycle-facility designations, the first since 2003. Exactly where the new bike lanes will be established — for an estimated price tag of $246 million — remains unclear. One of the alterations involves Julian, where bike lanes will be prohibited on main streets so as not to alter the mountain hamlet’s historic character, according to planners. Several people spoke in favor of the proposed amendment to the county Active Transportation Plan and General Plan Mobility Element. Andy Hanshaw, executive director of the San Diego Bicycle Coalition, said the project “aligns with county’s Live Well initiatives and creates safer roadways.” Good biking networks connect people to their jobs and promote healthy, active living, Hanshaw told the supervisors. “It will protect quality of life for future generations,” he said. Exactly where the new bike lanes will be established — for an estimated price tag of $246 million — remains unclear. $246m should buy a lot of paint.